The last appointment will be 30 mins prior to closing. Our office staff breaks for lunch from 12:30pm-2pm Monday - Thursday. Hubbard Pediatric Group tries to have appointments available each day for same day sick visits. We encourage you to call for an appointment as early as possible. These appointments can fill up quickly. 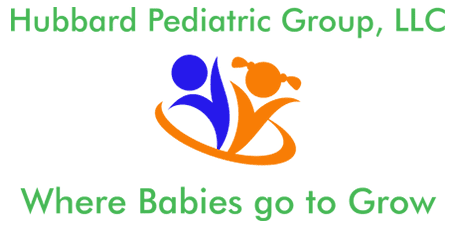 Our schedule for Well-Child appointments are based on the guidelines established by the American Academy of Pediatrics. A yearly well-care visit is recommended for children older than 3 years old. Less urgent issues such as acne, warts or more chronic conditions (abdominal pain or headaches, constipation, behavioral problems, eczema, etc. )should be scheduled in advance.